I've been doing a lot of reading on Reddit, Squad Community on Discord and the Squad forums lately. 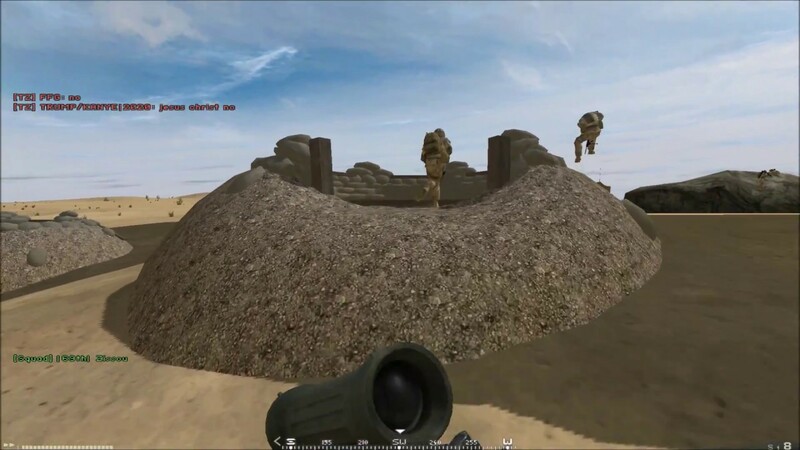 An awful lot of people are worried to death about how this feature or that feature (from PR) is going to ruin the game of Squad, yet almost none of them have played Project Reality. If they would, they would see how the different assets and other planned features of the game don't ruin the game, they enhance it as they fit in seamlessly into the game and there are balancing features against them. So I decided to play some PR with Wook1e and Portable.Cougar this weekend to A) have some fun and B) get some footage of these features. I managed to do both. The fun is mine. The footage is yours to watch. Area attack: off board artillery strike - called in by a SL that spots the target on the map, commander must approve it for it to work. As you can see in the video, it was completely ineffective against us as it both missed our position as well as the flag itself, which was the group of buildings away from us. So it requires accuracy in placing the marks by the SL and also the CO to approve it - teamwork and accuracy. Not some over-powered god-like ability for just one player to control. That was cool. Graphics look pretty decent too! Helicopters are alright. Fixed wing is where I belong. Aren't the rotorblades kind of like wings, and they're fixed to the chopper? Lawyered! I'm looking forward to helicopters. They open up a world of possibilities for dropping behind enemy lines, supplying fobs, and fast deploying troops to objectives. I spent many hours flying transport in PR and I look forward to raising the collective once again in Squad. I urge the people who are against these added assets to try PR. Asymmetrical balance is what sets PR apart and is the core of the gameplay. More options means more creativity. More creativity means more playability. Shoot move and communicate is still the name of the game, but sometimes that's referring to a tank platoon or jets or attack helos.